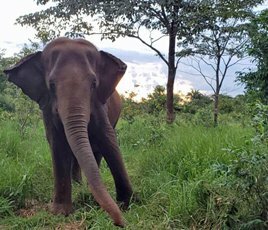 How do elephants adapt to sanctuary, with open spaces, other elephants and learning to graze for much of their diet? Many elephants adapt seamlessly. Some are occasionally a little nervous for a few days, but without exception, they all meld into their new world. This is not surprising as we are simply providing a space for them to be able to live and act as a normal elephant would. 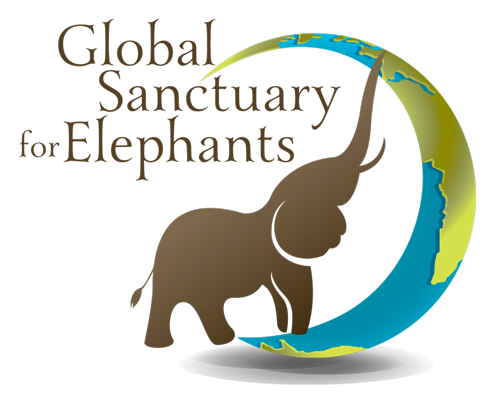 Sanctuary returns them to a more natural state of living. It has been observed that aggressive elephants become passive and solitary elephants become social. In one instance, an elephant that was labeled by the zoo she lived at as antisocial, a killer and autistic, was anything but those things. Within 2 years at sanctuary she was gentle, cooperative and even developed into a leader and mentor for other herd members. With regard to foraging, there is nothing more natural than an elephant eating grass. For some elephants this is the first time they have ever walked on grass, which sometimes causes them to pause just for a second, but they all immediately start to eat it. This is something that all elephants know how to do; it is not a learned behavior. Your ticket for the: How do elephants adapt to sanctuary, with open spaces, other elephants and learning to graze for much of their diet?